On 27th October 2002 a fire which burnt Hindu pilgrims in the Sabarmati Express engulfed the whole Gujrat. On the Godhra railway station a Muslim tea seller had quarrel with some Hindus and after this when train departured, a few moments later a bogie caught fire in which 60 Hindus got burnt. Before train reached Gujrat the news has spread there that Muslims has set train on fire. Hindu rioters attacked Muslims. More then 10000 Muslims were martyred by Hindu rioters. Their estates were looted and burnt. Thousands of Muslim women were gang raped in the bazaars. On massacre of Muslims world yelled with sorrow. International electronic and print media protested but India claimed to be secular. In order to find the reasons for riots and punish rioters dozens of committees were established, reports were issued, culprits were named and the issue went to higher courts but after this a grave silence engulfed the whole case. The biggest minority of world 25 crore Muslims living in India had no way but to bear such brutal acts. But after 5 ½ years Indian internet news channel “Tehelka.com” really jolted the world in its broadcast on 24th October 2007. In order to find the facts behind the riots of Gujrat reporters of Tehelka.com conducted meetings with leaders of Indian political parties like “Bhartia Janta Party”, “Rashtriya Savik Singh”, Vishwa Hindu Parshad, and Bajrang Dal in last four years. They recorded their videos through spy cams, and after such hard work they succeeded in issuing a comprehensive report. According to the report Muslims in Gujrat were massacred through comprehensive planning. The Chief Minister of Gujrat, other ministers and higher ranks within govt. allowed the massacre of Muslims. After this the operation was named as “Jay Shari Ram”. Police supplied extremist Hindus with automatic weapons, dynamite and petrol in govt. vehicles and allowed them to destroy Muslims as they like for three days. Before staging the drama of fire in a bogie of train on Godhra railway station thousands of Hindu rioters called to Gujrat from other states. These rioters were assured that no action will be taken against them. According to Tehelka.com a leader of Bajrang Dal disclosed that on 29th of October 2002 a high ranked officer of police reported that “in a secondary school located in Gujrat city hundreds of Muslim women and children had taken refuge. To murder them the number of Hindu rioters was less so Policemen in Civil clothes accompanied them, murdered Muslims on guard mercilessly and attacked school. Muslim women were mutilated/raped by Hindus and afterwards they poured petrol on them and burnt them alive”. The Chief Minister of Gujrat and higher officials has given three days for massacre of Muslims but this game/Holi continued for 6 days. Readers the pen is unable to write the torture over Muslims of Gujrat and fingers does not have power to explain the acts of Hindu beasts here. Just this is enough to say that the incident in Godhra railway station to the Holi with Muslims blood in Gujrat the whole script was written by RAW. And the master minds of this are Brahmans present in the govt. of Delhi. They had only one anger that why America has not attacked Pakistan as a reaction of 9/11 in 2001 in spite of all diplomatic efforts made by India. God knows how long Brahmans of India will punish and take revenge from Muslims of India for partition of Hindustan in 1947 and hands of RAW will be made red with the blood of Muslims of sub continent. RAW (Research and Analysis Wing) is the real ruler of today’s India. It is controlled by gentry of Brahmans. In 1968 this institution was formed under the rules of “Kotla Chankiya” and on the philosophy of rule of Brahmans till the dooms day. This institution working under the supervision of Indian Prime Minister is responsible for problems relating to India’s integrity and moreover for making the interior and foreign policies. To use this institution for expansion of Indian Imperialism, Indira Gandhi played an important role in fine tuning it. Especially the political disturbance and armed terrorism in neighbor countries and the role of RAW in its planning is known as “Indira Doctrine” among Indian officials. Afterwards RAW also proved that it is the true successor of Chankiya. The chief of RAW is known as “Additional Secretary to Govt. of India”. Different directors along with their institutions work under this designation. The most important of them is designation of “Joint Director of Security”. It has two more departments under it. Number one is Aviation Research Center (ARC), intercepting the communication system of neighbor countries, recording and jamming them if needed is responsibility of this department. To fulfill its duties it is equipped with latest Radar System, latest aero planes and moreover with latest equipment for communications. The second department is known as “The Special Services Bureau”. Its duties include conducting terrorism within and out of country, supporting lawlessness, killing important persons and conducting assassinations in neighbor countries. China and other countries of South Asia. Here one thing is important that Pakistan is the only country for which India has established a special Desk. Because Pakistan is the only greatest hurdle in the dream of Greater India. Although as compared to India Pakistan is lagging in man power, resources and support of other countries. While only for Pakistan the work on propaganda against Pakistan and to fulfill the plans against Pakistan is conducted under the supervision of Chief of RAW. 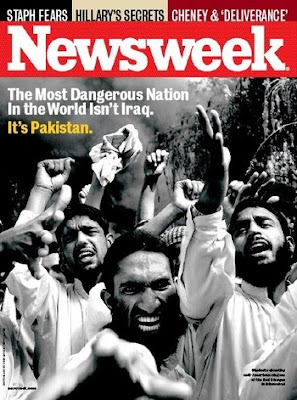 The columnists of American Newsweek and Time take guidance from propaganda of RAW against Pakistan before writing any analyses about Pakistan. The example of this is the edition of Newsweek in which with the cover story by Michael Hirsh and Ron Moreau has been published titled as “The Most Dangerous Nation in World is Not Iraq. It’s Pakistan”. In this way they have tried to make world against Pakistan. But this will astonish you that both columnist have not felt any need to change the title or words written in similar article on RAW’s website. 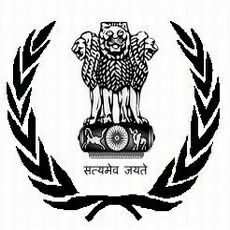 Secret agencies of India have been conducting their activities since 1963 in East Pakistan. Mujeeb-ur-Rehman was also in contact with them. In 1965 Mujeeb visited Agartala secretly where separation of East Pakistan was discussed. But Indian agencies were unable to get any important success in their plan. To realize their plans RAW was established. You can see the books in order to make the activites and successes of RAW popular written by “Ashok Karshan” titled as “In-Side Raw The Story of Indian Secret Service” or the book written by Bangladeshi writer “Abu Rashd” titled as “RAW in Bangladesh: As Aggressive Intelligence”, book published in 1995 written by another Bangladeshi writer Muhammad Zain-ul-Abideen “Raw and Bangladesh”. In these three mentioned books writers agree on one point that the basic purpose behind the establishment of RAW was to break Pakistan. RAW was the “Master Mind” behind the separation of Bangladesh and it fulfilled its purpose with the help of KGB. RAW was free to use as much funds as it likes. First of all RAW created such circumstances through terrorists which forced thousands of Bengalis to take refuge in Indian Bengal. RAW trained these refugees for Gorilla Warfare. Indira Gandhi was impatient. RAW had completed its work in East Pakistan. Mukti Bahni (their majority consisted of Indian Gorilla Force) had spread to every inch of East Pakistan. Indira Gandhi ordered her forces to attack East Pakistan but in July 1971 “General Manik Sha” apologized that if his army entered Pakistan before December they will have to face defeat. Indira Gandhi ordered RAW to help General Sha. RAW started attacks on Pak-Army through Mukti Bahni. Their women were kidnapped, raped while children murdered. As per plan agents of RAW present in the Mukti Bahni attacked homes of Mujeeb’s supporters, murdered them and raped their women. The newspapers owned by Hindus in Dhaka published the news along with pictures that Soldiers of Pak-Army especially Punjabi soldiers of West Pakistan are murdering Bengalis. The same pictures were published by Indian newspapers and reached to the western media. The whole detail is present in the books written by Bangladeshi writers. In this way with the open support of Soviet Union and under cover help of America the incident of fall of Dhaka occurred. After this in the form of Sheikh Mujeeb India Occupied Dhaka practically. But Mujeeb was murdered in the hands of his security guards along with his family. From here the defeat of RAW starts in Bangladesh. This jolted Indira Gandhi and her grip on the govt. within got lose. She was also murdered by her security personnel like Mujeeb. According to Bangladeshi media RAW is still active interfering in Bangladesh. Chakma Tribes have started rebellion with the help of RAW and in spite of Mukti Bahni, Shanti Bahni has been formed. But every time India has to lick the dust that is why Indian media blames on routine basis that Pakistan’s secret agency ISI, has infiltrated Bangladeshi Armed Forces and other civil administration and is trying to create unrest in India. But this is also fact that after separation of Bangladesh first time in the history of (Past three years) columns against Indian interference are continuously being published. Facts about Indian terrorism and interference in East Pakistan are being brought forward. The separation from Pakistan is being accepted as big mistake and Indian media is claiming changing ideas of Bangladeshi public as Pakistaniat. After independence sub continent in 1947 Sikkim present between China and India (its border is also adjacent with Nepal and Bhutan) was accepted as free, sovereign state. Sikkim was captured by Britain in 1890. In spite of majority of Buddhists India succeeded in getting influential in Sikkim because Sikkim is a “land locked” country. So the trade and the business of these people were dependent on the trade with India. Due to these compulsions India succeeded in transferring its religious and cultural effects on the people of Sikkim. In 1950 India entered its army into Sikkim through agreement and along with this Indian secret agencies started acting upon their plans. In 1962 when war was declared between China and India, India captured all govt. institutions of Sikkim through in the light of lame excuse that China may attack India through Sikkim. When war between China and India ended the people of Sikkim came to roads for protest against Indian capture of their govt. institutions. The King of Sikkim “Chogyal Tenzig Wnagehuck” tried his best to assure the people of Sikkim that Sikkim is not a dependent state of India but a sovereign state. Simple people trusted their king and took his statements against India based upon truth. But majority was not ready to accept this lie. Due to increasing restlessness among Sikkim people Indian secret agencies and armed forces went behind the scene. In 1971 on the order of Indira Gandhi RAW got activated in Sikkim and support was bought through money within Sikkim people. The people protesting against India started protests against their King. When King saw that his rule is about to end he took help from India. RAW assured him of support but on the condition that he will remain loyal to RAW and act as an agent of RAW. King accepted all the conditions of RAW but secretly RAW continued its activities to capture Sikkim. In 1974 political elections were conducted which were converted gradually into Civil War by the struggle of RAW. This civil war continued for one year and many innocent lives were lost. Then India’s struggle for peace succeeded and new elections were declared. The election campaign was going on, during this a big political party declared assimilation with India. After this elections were conducted but in the form of referendum for being a part of India. How the result of this referendum can go against India. As soon as decision was declared in the favor of India, Indian forces captured it and it was claimed as 22nd province of India. This peninsula is located in the south east of India near Indian Coastal province Tamil Nadu. If we look at the history of Sri Lanka, Portuguese captured it in 1505. At that time Sri Lanka consisted of seven states. In 1600 Portuguese were defeated by Dutch Army. In 1796 they were exiled by Britain. When British rule ended in sub continent, Sri Lanka also got independence in 1948. This independence is still being protected by Sri Lankan people. Although during all this time India has several times tried to capture Sri Lanka but it had to face defeat. After independence Sri Lanka ignored Indian pressure and established diplomatic relations with Pakistan. It also allowed Pakistani passenger and war ships to anchor on its coasts. And also Pakistani war planes were provided with airports. This angered Indira Gandhi and she decided to bring Sri Lanka under “Indira Doctrine” i.e. capture Sri Lanka. Indira Gandhi called Chief of RAW and asked him to conduct operation similar to East Pakistan in Sri Lanka. The officers responsible for Mukti Bahni were called and in the areas of “Garakhpur and Kanda” of Tamil Nadu training camps were setup. The difference among Sinhali and Tamils were made a cause for war between them. The struggle of RAW brought fruit and Tamil demanded separate homeland for them. When Sri Lanka got trapped in the hands of Rebellions, India offered support for re establishing peace and security which was accepted by due to pressure. 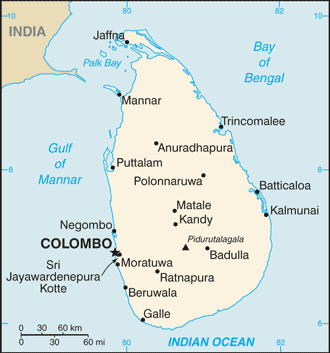 In 1987 under an agreement Indian troops entered into Sri Lanka. Opposition parties rejected this agreement and came to roads for protest against presence of Indian army in Sri Lanka. Along with this rebellions also started attacking Indian army present in Sri Lanka. This made disputes among RAW and Indian Foreign Ministry. Extreme response from Sri Lankan public against Indian army was taken as defeat of RAW by Indian Foreign Ministry. This was the first time that Indian govt. has to face criticism on the international level. Indira Gandhi has been murdered but “Indira Doctrine” was still there, which was now responsibility of Rajiv Gandhi. The hatred against India was so much extreme in Sri Lanka that in 1988 when Rajiv Gandhi went on a visit to Sri Lanka, on the airport during the salute parade a Sri Lankan Soldier Rajiv Gandhi with the handle of rifle, due to which Rajiv Gandhi fell to the ground. If the gun had the bullet maybe the Rajiv Gandhi has been murdered on the spot. At least due to extreme opposition Indian army left Sri Lanka in 1988. But Indian army is still training Tamil rebellions in its camps in Tamil Nadu under RAW. Readers may remember that on 30th November 1988 that Maldives consisting of small islands was captured by 400 pirates. Equipped with latest weapons pirates attacked like trained gorillas and captured Capital of peaceful Maldives. They captured important govt. and non govt. officials and later on attacked presidential house. Where they had to face extreme resistance in the hands National Security Guards. President Mamun was shifted to safe place. From where President called help from govt. of Pakistan, India, Sri Lanka, Britain and America. At that time response of Indian Prime Minister Rajiv Gandhi was astonishing. Like other neighbor countries the American officials were busy in planning for action in Maldives in a near by American headquarter on an nearby island that the reports was issued that 1600 soldiers of Indian 50th Para Brigade have arrived in the Capital Mali along with Indian Navy. And 13 cargo planes of Indian Air Force have also arrived carrying soldiers in the protection of Indian Air Force and have taken control of different airports of Maldives. After four hours success was declared by Indian govt. this operation was named as “Operation Cactus”. According to Indian officials Maldives have been cleared off from pirates, on different spots several pirates have been captured. Along with the Transport Minister Ahmed Mujtaba 30 important persons had been kidnapped by more then 100 pirates and they had been trying to escape through small ships and speed boats. They were followed by Indian navy and arrested and the kidnapped have been freed. On the second day in Bangalore higher ranks of Air force and Navy in a press conference put light on the role of India in sudden incident of Maldives. India had saved Maldives from a great loss through rapid reaction and planning. At this Maldives govt. and people are thankful to India. Indian defense Minister declared that in future Indian army will also continue to play its role in the stability and peace of the area. But nor did any one dared to question neither Indian Defense Minister felt any need to tell the identity of those pirates. Why India took them in its custody after arresting them in spite of handing them to Maldives? After this, 21 years have passed but no one knows that where did the pirates have gone? Has sea engulfed them or Indians hidden them? When ever congress is on the govt. in Nepal the peace is restored. Attacks of the Maoists stop. As soon as due to public pressure and strong opposition Congress leaves the govt. and Union of opposition forms its govt. unrest and terrorism jolts the whole country. The attacks by Maoists become so much severe that Police and Security Forces get worried for their lives. At least why? The answer to this question is present in the book of “Shastra Dutta Pant” published in 2003 under the title of “R.A.W’s Machinations in South Asia”. According to this book, out of India Nepal is the only country where including every official is paid employee of RAW. Congress party of Nepal is an extension of Indian Congress. If Congress is in govt. it is equivalent to Delhi rule. Agents of RAW are also present in other parties but they are not so much influential to act upon the Indian plans. 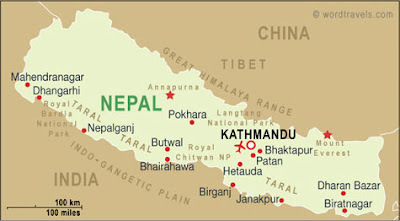 Moreover the threat of interference from China is also an important excuse for RAWs presence in Nepal. After its establishment in 1968 before that RAW entered into Afghanistan resistance began against Soviets capture of Kabul. This resistance which started in 1979 converted into severe war till 1984. During this secret agency of Afghanistan “Khad” and KGB of Soviet Union conducted many bomb blasts within Pakistan for which they must had support from RAW. Because the relations between India and Afghanistan had been much deep and strong that is why after independence Afghanistan did not spare any opportunity to create problems for Pakistan. And due to this some groups shifted to India during afghan war. After defeat red army left the Afghanistan and Afghanistan got entrapped into civil war. Under the leadership of Ahmad Shah Masood a group wanted to capture north eastern province Kabul. They had to face extreme resistance from Pakhtoons. From this civil war Taliban got birth and they captured 90% of Afghanistan like a cyclone. People from north western areas Uzbek speaking Persian and Tajiks challenged Taliban’s rule under the name of Northern Alliance, they were fully supported by India. After 9/11 when America attacked Afghanistan it did not had any support on the land except from Northern Alliance. The capture of Kabul by Americans made road for Northern Alliance’s rule and provided an opportunity to RAW to strengthen itself in Afghanistan. 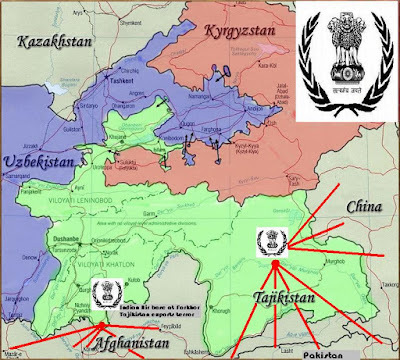 If we say that Afghanistan is practically captured by India it is not wrong. RAW is not only using Afghanistan for Pakistan but also for terrorism in China having Muslims in majority. Near Pakistani boundaries India has established seven consulates. Through these RAW has succeeded in creating influence among tribes of Pakistan. Moreover RAW is also conducting business of illegal weapons, drugs and smuggling of valuable goods. NATO and American officials have their own interests for which they are ignoring activities of RAW. But after delaying work upon the Civil Nuclear deal between India America it is possible that America may limit role of India in Afghanistan. But this question of much importance that in Afghanistan when American and NATO forces are being targeted in suicide Bomb Blasts while Indian soldiers and persons are not their target who are spread on every inch of Afghanistan? The question by Talaat Hussain was, “then who are they? Are they foreigners hidden in local public?” The answer was: “Possibly they are foreigners. But they belong to RAW and Khad is also supporting it”. Dear readers consider the situation in 1970-71 of East Pakistan and present situation in tribal areas have many similarities. The only difference is that in East Pakistan RAW murdered Pak-Army in the form of Mukti Bahni while on the other hand treated the Bengali people like that. Here mentioning the Minister of Ayoub Khan’s Cabinet Mr. Munaam Khan will be important. Munaam khan was advised by some friends in 1971 to shift to safe place along with his family. His reply was, “I have served people of my area. No matter how much situation gets worsened I have no fear from fellow religious and language Bengali People. If I have ideological differences with them what this has to do with my family.” This statement of Munaam khan was published in all major newspapers of Dhaka. After few weeks’ terrorists of Mukti Bahni attacked house of Munaam Khan in the light of day. His sons were murdered. He and his daughters were brought on the road. Their clothes were stripped. After this they tied feet of Munaam Khan with ropes to two jeeps and started the jeeps. Both jeeps moved in opposite directions and body of Munaam Khan divided into two parts. Local people who were with Munaam Khan came forward but they were stopped on gun point. The terrorists of Mukti Bahni kidnapped the family of Munaam Khan and left the area. Till yet no one knows any traces of his family. After few months of this incident East Pakistan got separated. The Bengalis of Chitagong still celebrate the day of Munaam Khan. They recall his services which include his political rivals who are the witness of such a dreadful murder. They also believe that the people who murdered and kidnapped his family were not Muslim and Bangladeshi. Let us come back towards the Pakistan’s Khyber P.K (NWFP) province and tribal areas and incidents occurring there. But first of all we should discuss tribal customs. The enmities of tribal people are famous. These enmities which go on for centuries but no one mutilates the dead bodies. If the enemy comes to house of the rival his life is forgiven. The guest of enemy is respected like own guest. Such like customs take centuries to develop and also does not vanish away in few years. The process of deterioration of customs needs centuries. But in our tribal areas human beings are being slaughtered as animals. The heads are being shown to show the brutality. Ok let us accept that the whole of this is being done for implying Islamic laws. These acts are being taken for renewal of Islam. Then the books of history are filled with the victories of Muslims. The Christian historians who recorded the Crusade wars swear for the Muslim customs. They praise the Muslim philosophy of providing safety to enemy in case of victory. Yes! Only Hindu historians claim that Islam has spread through the force of sword. And the persons who accepted Islam in sub continent were cowards having weak beliefs. And if we accept this true that the fighters for Islam are on the right path or they think Pak-Army as big hurdle in the enforcing of Sharia/Islamic Law and to remove that hurdle they conduct suicide attacks on Pakistani forces on daily basis. Then really after army gets defeated Islam will be enforced? While in Pakistani society the Soldier is more pious and religious as compared to other persons. They (soldiers) do not forget on freezing mountains of Siachen and offer Prayers after making ablution with extremely cold water, if the cause of this dispersion, unrest, extremism and suicide bomb blasts is unequal income distribution, injustice, or corruption then why the target of suicide bombers are not Land Lords, Feudal, investors, hoarders etc. if soldiers are not a cause of these attacks, the vulgarity is the cause of the anger Islamic groups then who does not know that Free Electronic Media is responsible for that. Dated: 4 & 5 November 2007. A great effort and unheard, unspoken truth is revealed indeed. Material like this is so rare to be found in print and social media.